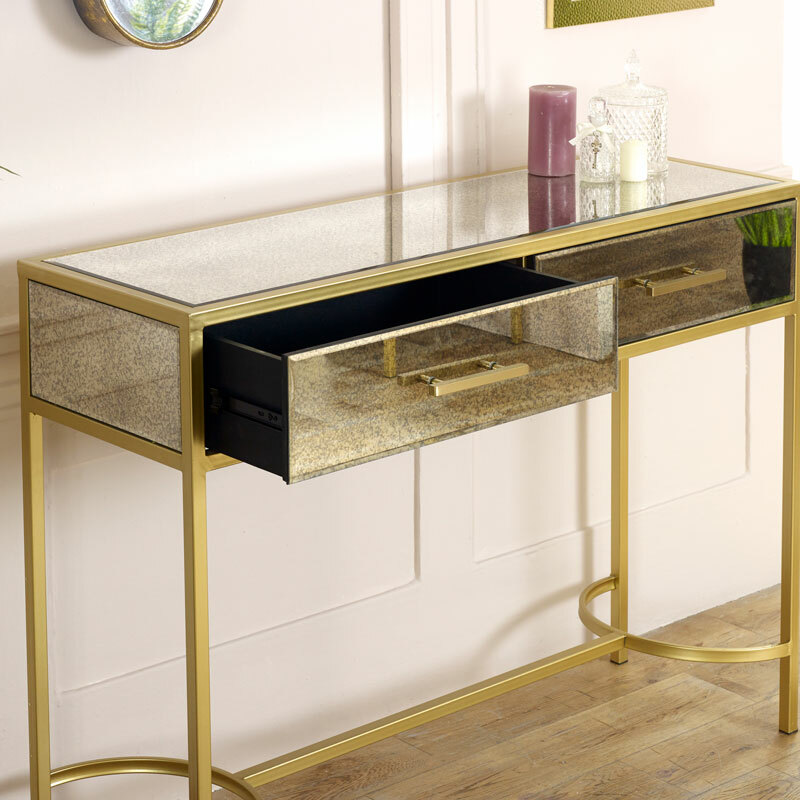 Stunning console table with gold metal frame and antique mirrored glass panelling. Elegant, luxe inspired furniture for the living room and hallway. The Cleopatra Range comes with matching furniture. Hints of art deco and exotic style, this table comes fully assembled and is perfect for the modern, contemporary or vintage style home decors. With 2 drawers, on metal runners, offering excellent storage. A great way to add a refreshing new look to your home. 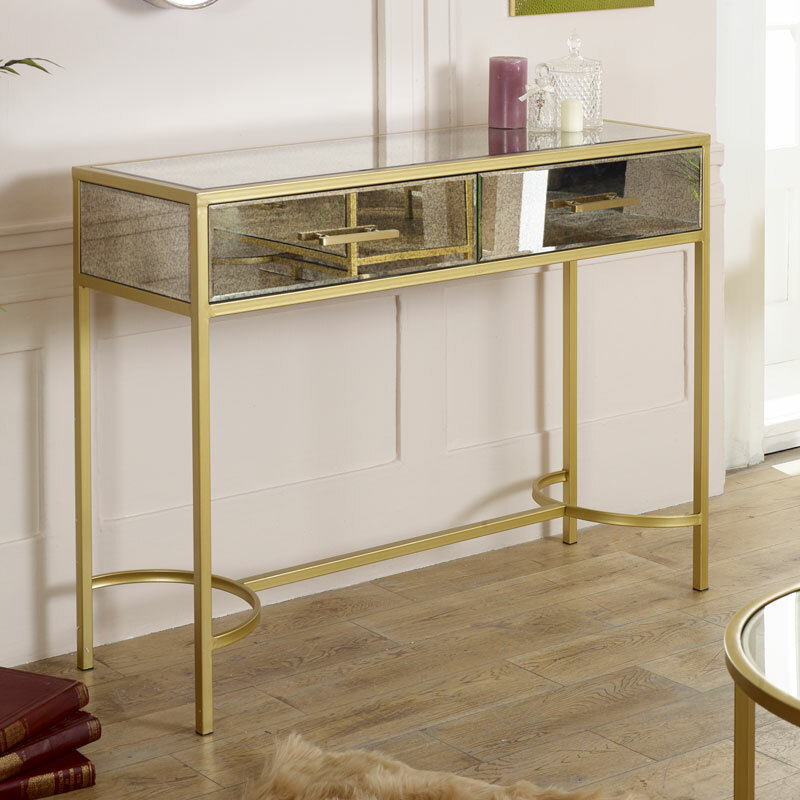 Stunning console table with gold metal frame and antique mirrored glass panelling. 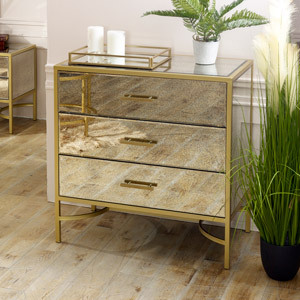 Elegant, luxe inspired furniture for the living room and hallway. The Cleopatra Range comes with matching furniture. Hints of art deco and exotic style, this table comes fully assembled and is perfect for the modern, contemporary or vintage style home decors. With 2 drawers, on metal runners, offering excellent storage. A great way to add a refreshing new look to your home. The Cleopatra Range console table comes fully assembled. 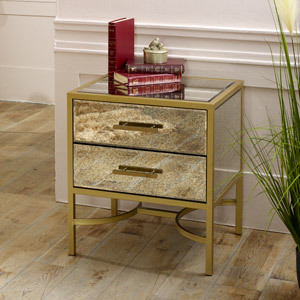 We have a small selection of furniture in the Cleopatra Range, includes chest of drawers and bedside / side table.